20 years of being on the Internet! 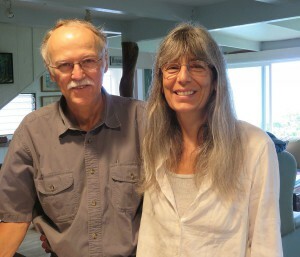 Steve and Sandy Wright, entomologists and extremely nice people have left Hawaii. Wishing you both a very happy new life. We will always be grateful to you both for your good help. 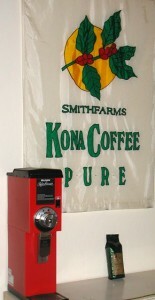 If you are looking for Wonderful coffee with EXCEPTIONAL TASTE SMITHFARMS PURE KONA IS IT! AWESOME AROMA, wowee! and we will roast it up for you! just out of the roaster (click here for roaster photos) can’t you just smell the chocolate in the photo above? that Each of our SMITHFARMS coffee beans actually contain rays of our warm tropical South Kona sun?? 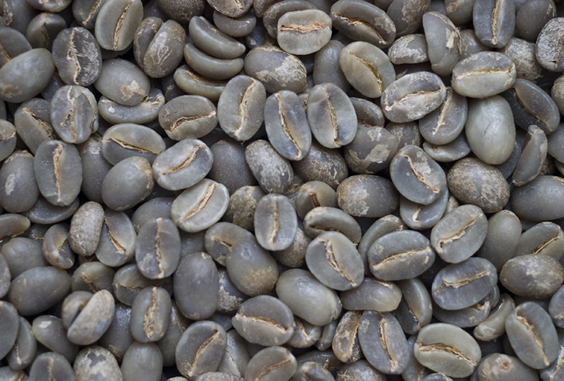 Our 100% Kona Coffee is more than great tasting! It is beautiful! 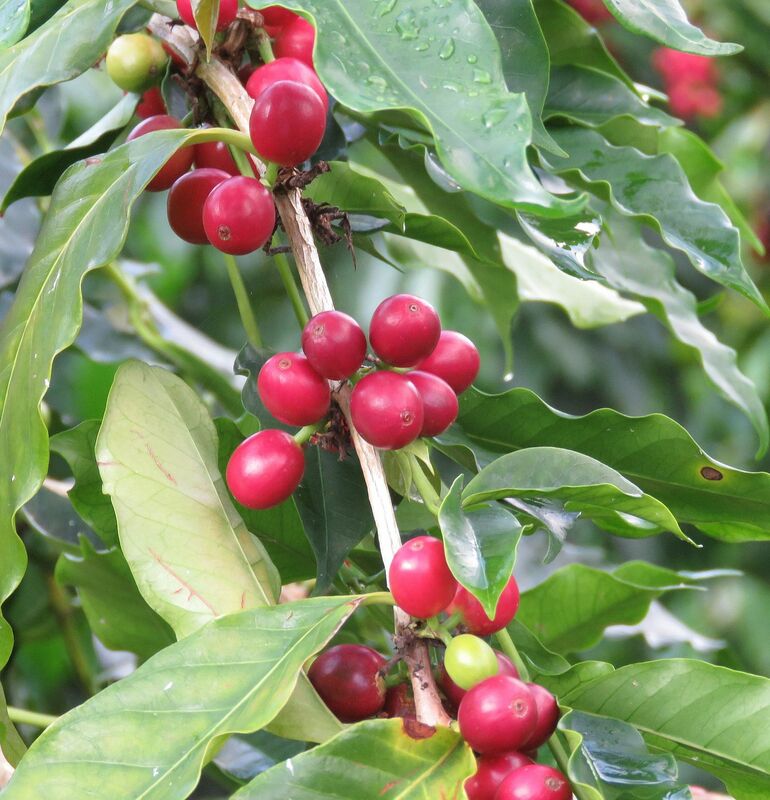 100% PURE KONA COFFEE Sustainably Grown and Fairly Traded! 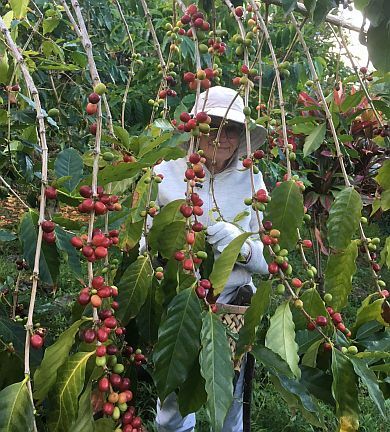 Sustainably grown* means we farm the land and meet our needs to grow yummy 100% Kona coffee without compromising the ability of future farmers to grow their 100% Kona coffee here on the same land. 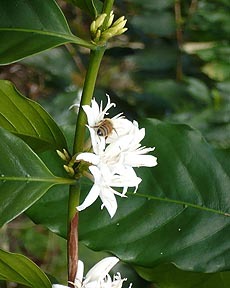 We are a Fairly Traded coffee although that “tag” (Fair Trade) is not given to coffee produced in the US. 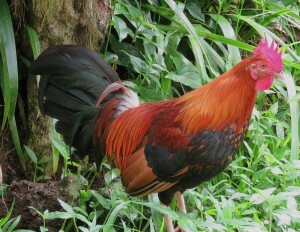 We pay every helper of our 100% Kona coffee a fair wage. We live in America,too. 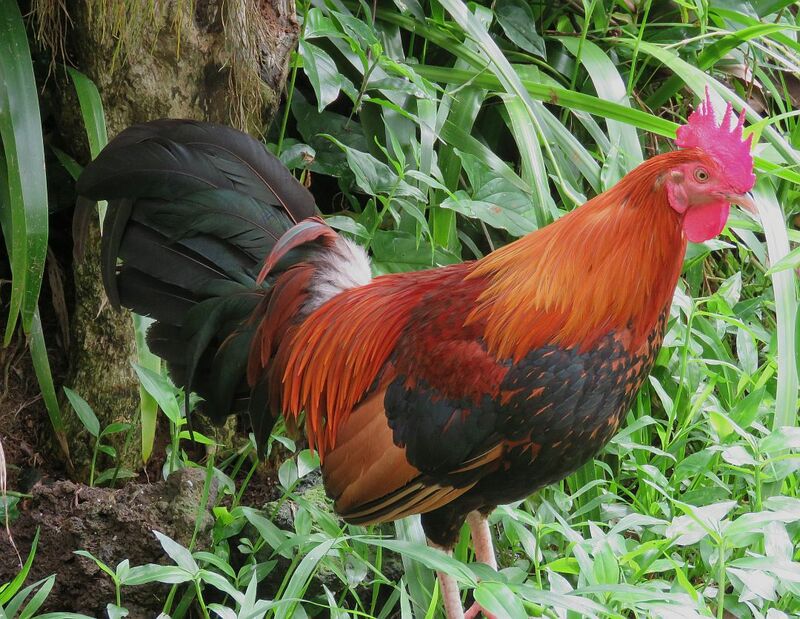 So would you like to know more about our Kona coffee? SMITHFARMS 100% Kona Coffee Pure Coffea arabica var. typica is yours via…Happy & Healthy & Vigorous trees and many of our trees are over 120 years old! We are a high elevation farm, (1700 – 2000 feet above sea level on the slopes of Mauna Loa) – a slower growing coffee farm. daily weather: cloudsraincloudsrainclouds Natural shade cloudsraincloudsrainclouds With the natural shade given by our clouds, we tend to have a larger amount of bigger beans. Tastier too, say the experts. 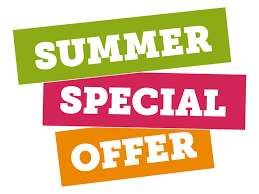 We of course, offer our wonderful roasted coffee. You can also get it ground. 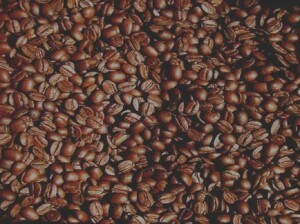 Your whole freshly roasted beans will be ground in our Bunn 3 burr grinder at $1 per pound. (Just check it off on your order form.) The Bunn is an exceptional grinder giving uniformity to the grinds and you may just want to throw away your whirly-blade and have us do your grinding! 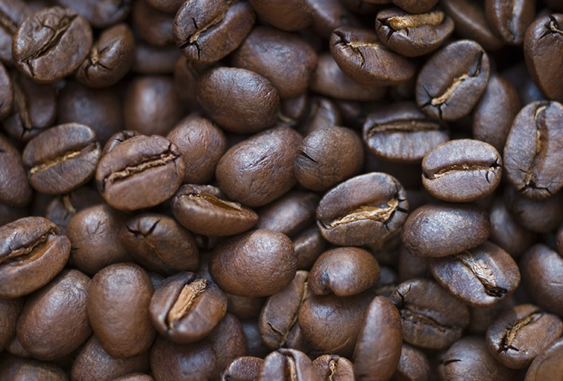 if you want dark or light roasted coffee, you need to order 5 pounds and be sure to indicate your desire- in capital letters on the <Comment > line. thanks. We think we only have the best and that’s what we want YOU to have. our washed and dried coffee crop stored in parchment form in our very special climate controlled storage room. we built a special climate controlled storage room for our precious coffee, under our living room. These fat parchment bags’ next trip is to be milled into green coffee. except for our Estate –of course! 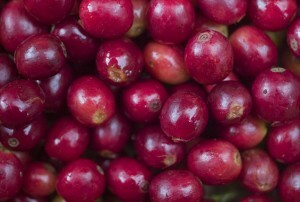 We feel that all the grades of our coffee are equally delicious, because we treat each bean with the same care! 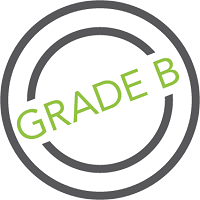 Green/Unroasted “ESTATE GRADE” is the same description of our coffee as above BUT not roasted. There is a 10 pound limit on green bean purchases. 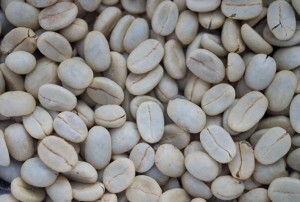 We take out the Peaberry to sell it separately as roasted and remove the grades below “Number one”. 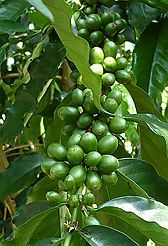 FYI regarding lack of our green Peaberry. 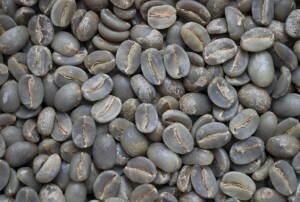 We do not sell our green Peaberry because it does not meet our high quality standard of beauty for our green beans. The nasty Coffee Berry Borer (CBB) beetle tends more often, to go after the end of the coffee branch and that is where Peaberry is usually found. So to get high quality green Peaberry would take too much effort for us to sort through to meet our smithfarms standard for quality green. We are the only 2 workers here and we’ve made that decision. Hope you understand. 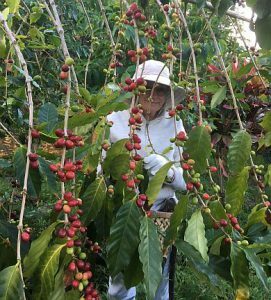 All our precious 100% Kona coffee grows at its perfect pace, with sunny mornings and afternoon cloud cover during the wet summer growing months, and our dry cool winter harvest season. We get no municipal water at our house/farm, so this is one of our two collecting water tanks. The water is then gravity fed into our house. Tanks have overfilled many times this summer of 2018. According to Bob’s meticulous rain keeping records, the 16.4 inches of rain in October 2018 is the highest October rainfall in 30 years. 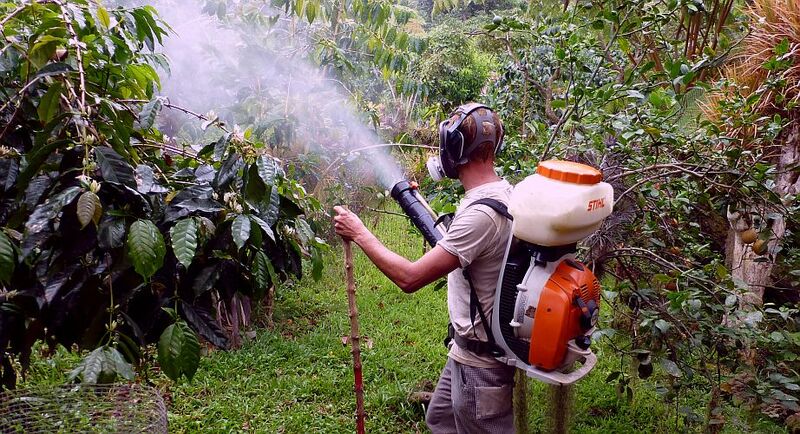 A drought about 8 years ago allowed the natural fungus to almost die out and the CBB to get a hold within our coffee land and we’re pushing back- successfully. Dan uses a back pack mister that weighs over 40 pounds and he goes to everyone of our trees. Spraying the top and undersides with a fungus- which is closely related to a naturally occurring fungus YAY!!! These is the Seal you will find on your Smithfarms roasted coffee bags, in addition to our label. 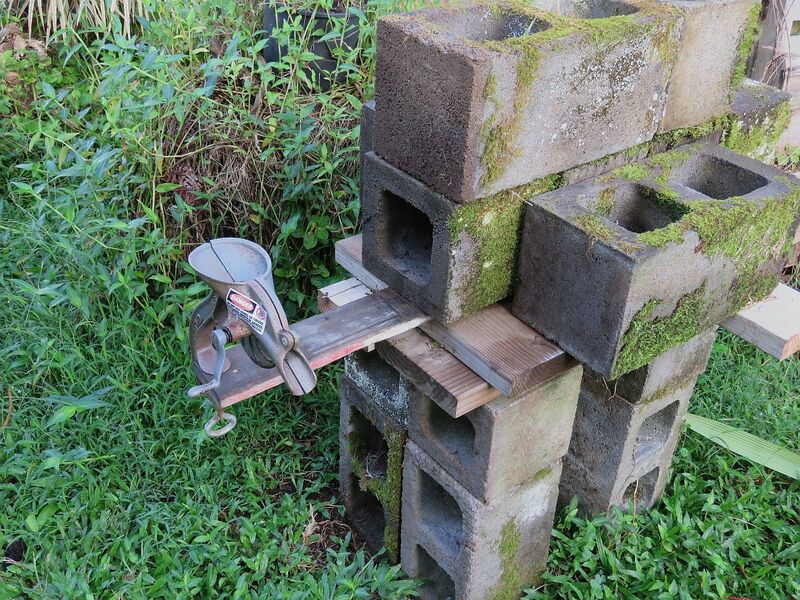 We pay 5 Cents for it and the money goes to support the Kona Coffee Farmer Organization (KCFA). 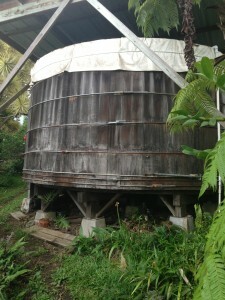 It is a group dedicated to just the Kona Coffee farmer. That is what we are —-Kona Coffee Farmers! Farmers are not processors. We grow the stuff, processors do process it but …they also buy large quantities of fresh cherry from the majority of coffee farmers who sell at the cherry level, and then …those processors sell some of that coffee to blenders! The processors want to buy coffee at the lowest possible price and the farmers want to earn their living. CONFLICT! 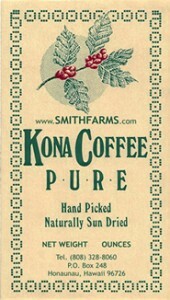 A Kona Blend IS: The processor/blenders take their coffee bags, put in 90% unknown & never identified (Truth in Labeling?) 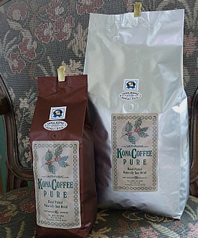 coffee beans and only 10% Kona Coffee beans and sell that bag for an enormous profit on their 10% Kona. Beware of Kona Blend! 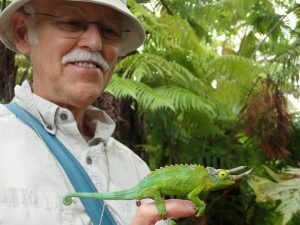 The Kona Coffee Farmers Association is a totally volunteer, non-profit, community-based organization of coffee farmers with the mission to promote and protect the economic interests of Kona coffee farmers who grow and sell 100% Kona coffee and to seek greater legal protection of the Kona coffee name. Roasted to perfection by Bob Smith who grows and bags it as well as doing the perfect roast (just after 1st crack- if you know what that means). 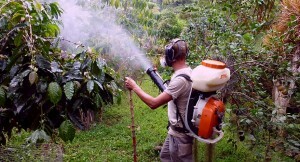 Did I mention that Bob the farmer of our beans, has a BS degree in Tropical Agriculture, too? 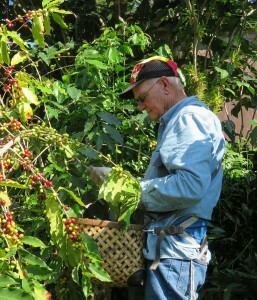 About the only college educated Kona Coffee farmer that I know of in Kona! Grinding your whole beans, in our professional grinder aka “Ruby”, is $1/pound. You can decide the method—(click to view>) SHIPPING! If you want an International Shipment, we can do it! 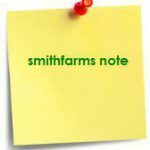 For International orders: We can urge 2 pound packages of our roasted Smithfarms (or 3 pounds of our green) into ONE Global Priority Mail envelope— anywhere in the world– Warning: We have found that International packages may take longer than the 6-10 “business” days. We process your order as quickly as we can but,once your package is in the hands of the International postal carriers, we have absolutely no control. We do mail our green and roasted 100% Kona Coffee all over the world, recently Macau and Hong Kong. 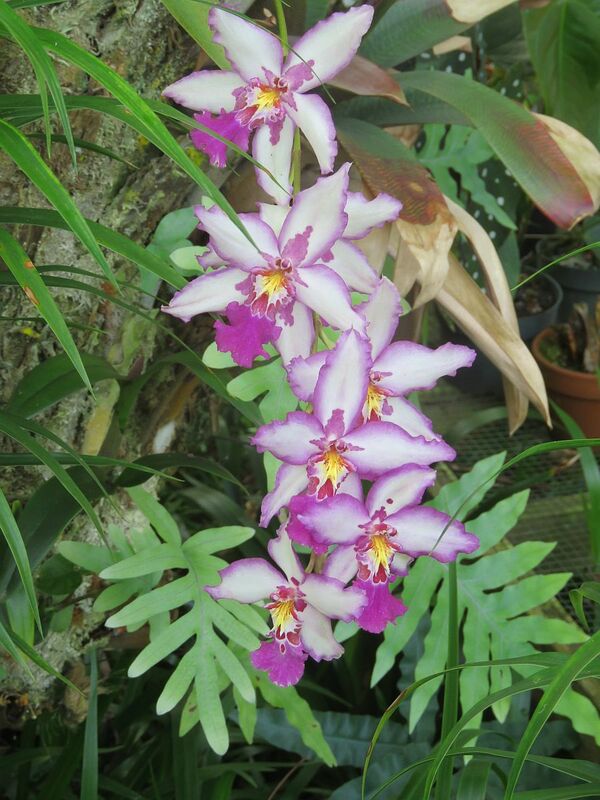 we are coffee farmers not orchid growers but we are really lucky to have some orchids who love living here too. These grow in a tree fern stump. 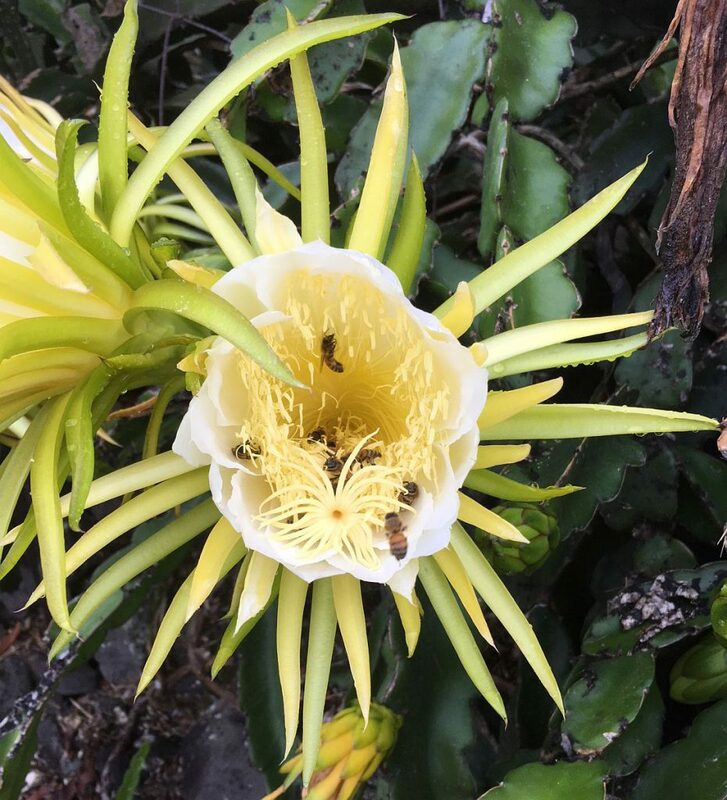 2018 bloom showing below. You may be interested to know that Bob and I believe in the concept of karma. We do try to do the right and proper thing. We want to know when you are not pleased, too. It will make us better! You will have a chance — once you get to the order page —to decide if you want your orders to come to you automatically. 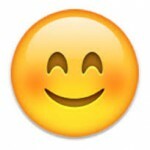 Here’s the scoop… Make it easy on yourself! No hassle. 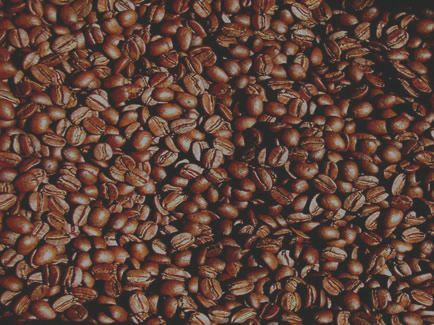 Join this growing group of “Coffee happy addicts” that has our freshly roasted 100% Kona coffee sent to them… AUTOMATICALLY! YOUR BOX WILL ARRIVE AUTOMATICALLY! 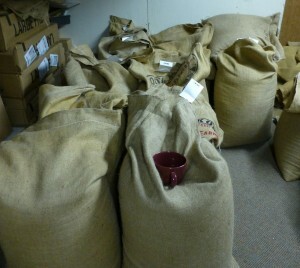 We roast the day before and send your box out the next morning.